In order to answer our customer’s need, we’ve chosen the high-end force gauge Centor Star Touch with a load cell of 50N equipped with a small vise grip to seize the MEMS parts. Our client wanted to save the points of its curves on an USB Stick and review and analyze them with our analysis and report software Datastick II. 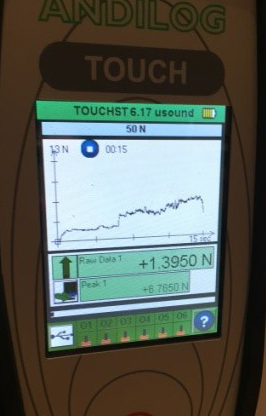 Choosing this force gauge enabled to cover the expected performances namely to reach a high precision (0,1% of the full sensor scale), have the curve displayed on the screen and being able to save the test data on a stick for ex-post analysis. This way there is no need to steadily connect the force gauge with a computer. The force gauge Centor Star Touch is mounted on a manual test stand with the threaded plate on the back of the housing. 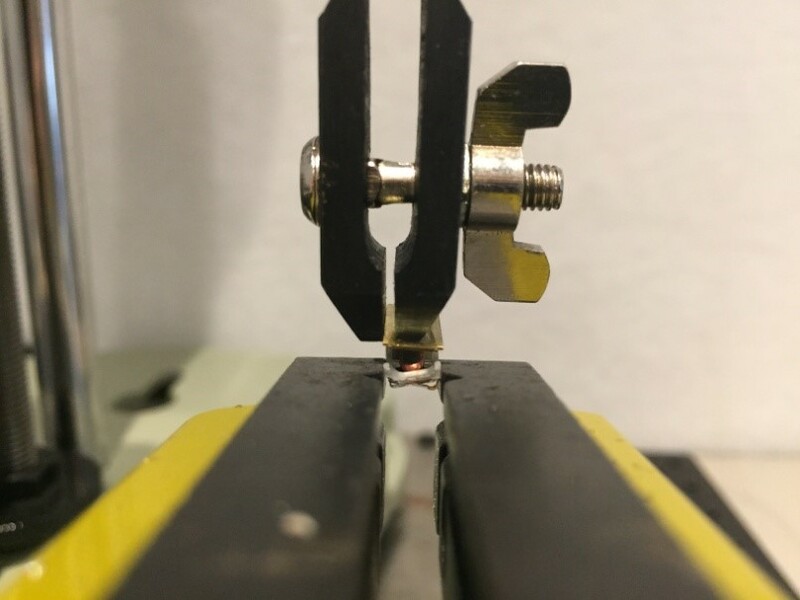 The vise grip is then screwed on the force sensor in the axis between the sample and the gauge. 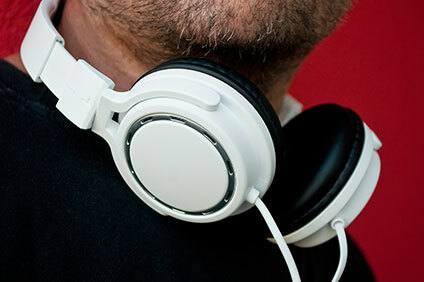 The data and curves of the measurement are saved on an USB stick of your choice (up to 8 GB). 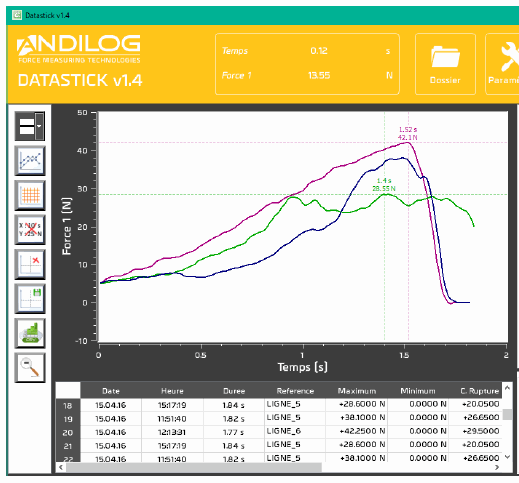 In the included software Datastick II, it is possible to place markers on the curves, analyze the results of the selected calculations, compare several curves, comment them and export all the data in Excel or personalized reports. 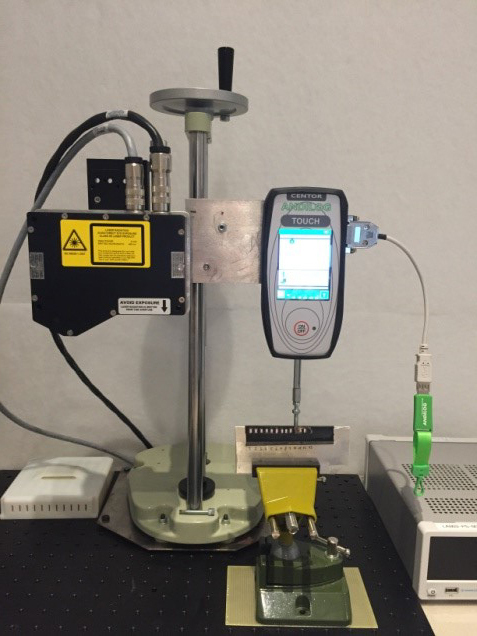 The Centor Star Touch 50 N chosen for this project ensures a simple and precise force measurement at 0,05 N, ideal for small parts. It displays the force/time curve in real time with two values, for instance the raw data and the peak of force during the breakout test. The included software Datastick II enables a mobile measurement and the saving of 1.000 points of the curve for each test. It’s an easy tool to compare the statistical values of the different tests, overlap curves and do personalized reports for a better follow-up of the breakout tests. The Centor Touch in its version Dual and integrated in the manual test stand Springtest 2 is equipped with a displacement sensor. 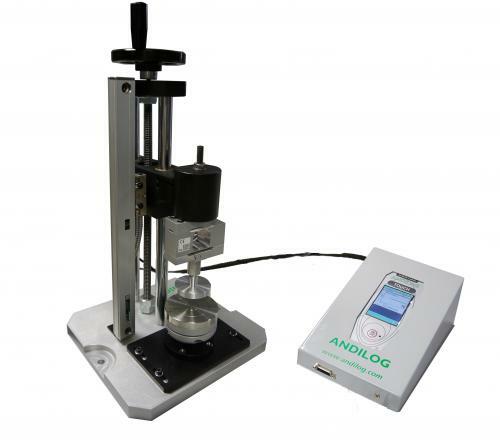 The display performs the data acquisition in real time of the force/displacement values with a travel resolution of 5µm. This data can be plotted live in our software Caligraph for a fine analysis and archiving of the results.